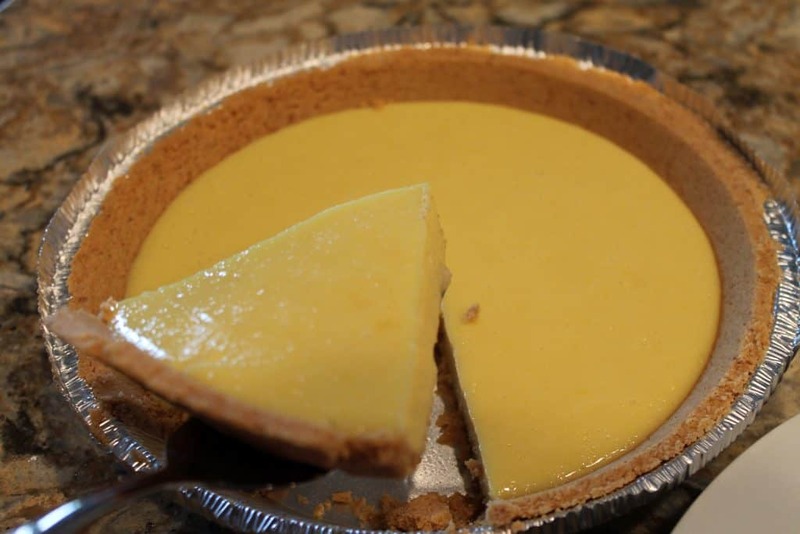 Lemon pie is a great citrus custard pie inside of a graham cracker crust. Top it with whipping cream and it’s truly perfect. Lemon meringue pie is hit and miss with most, but what’s great about this recipe is no meringue. Instead, I use a lemon whipping cream that has just a hint of lemon. If this sounds like the pie for you, let’s get started! 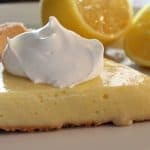 Should you use fresh lemons or lemon juice in lemon pie? When you make this pie, it’s completely up to you on whether you use freshly squeezed lemon juice or juice from the bottle. For convenience, I typically use the lemon juice from a bottle. Freshly squeezed lemon juice tends to make it a little more tart, but still so delicious! Pre-heat your oven to 325 degrees Fahrenheit. 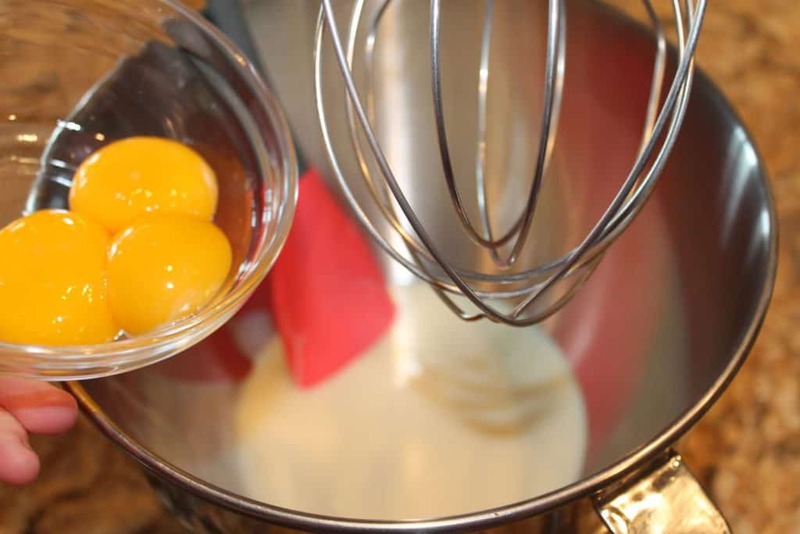 Then, in a large mixing bowl, add the 1 can sweetened condensed milk and 3 egg yolks. Mix on medium for 2 minutes. Next, add in the lemon juice and lemon zest. Then mix on medium speed againg for another 2 minutes. Finally, pour this lemon filling into an already prepared graham cracker crust. Bake for 15-17 minutes or until the lemon filling jiggles. Let it cool for 5 minutes. 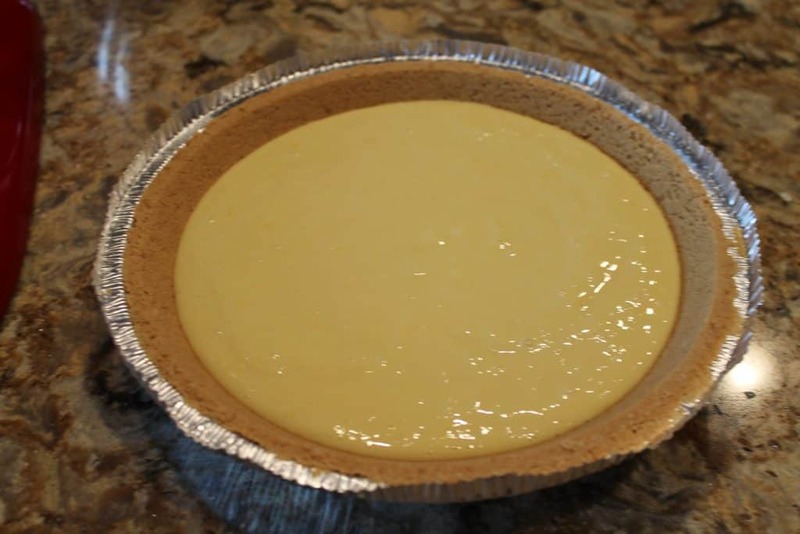 Then, place the finished lemon pie into your refrigerator for 1-2 hours to chill. When the pie has been chilled, start making the lemon whipping cream. Add heavy whipping cream, granulated sugar, and lemon juice to your mixing bowl. Mix on high for 5-7 minutes until stiff peaks form. Then, add it to your lemon pie. Yum! Thanks for stopping by! If you enjoyed this recipe, please remember to share it on Pinterest. Thanks!! Lemon pie is the best because it is sweet and sour. 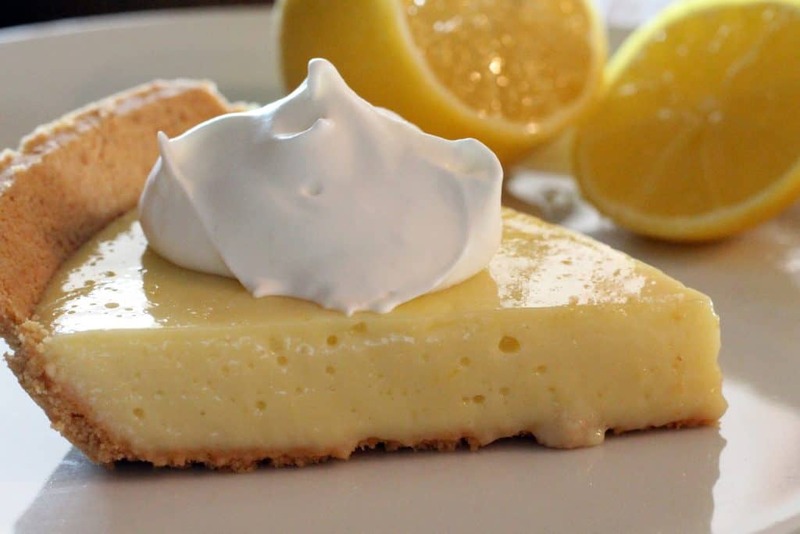 This particular pie has no meringue, and instead is topped with a lemon whipping cream. Add heavy whipping cream, granulated sugar, and lemon juice to your mixing bowl. Mix on high for 5-7 minutes or until stiff peaks form. 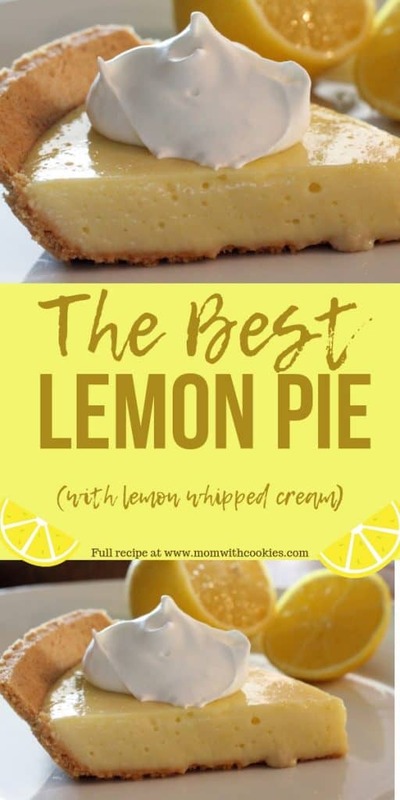 Top this on cooled lemon pie and refrigerate any leftovers. 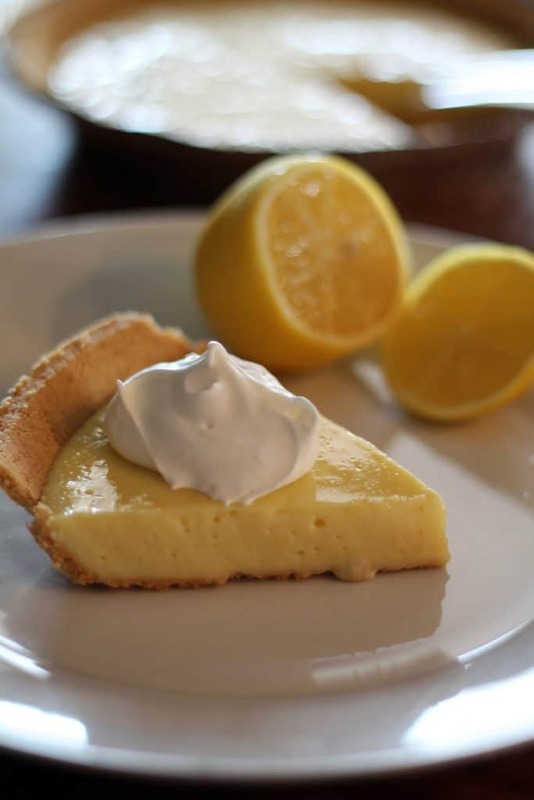 The lemon whipped cream will start to get runny after a day, so use it as you eat the pie. If it gets runny, mix it up again with your whisk attachment.